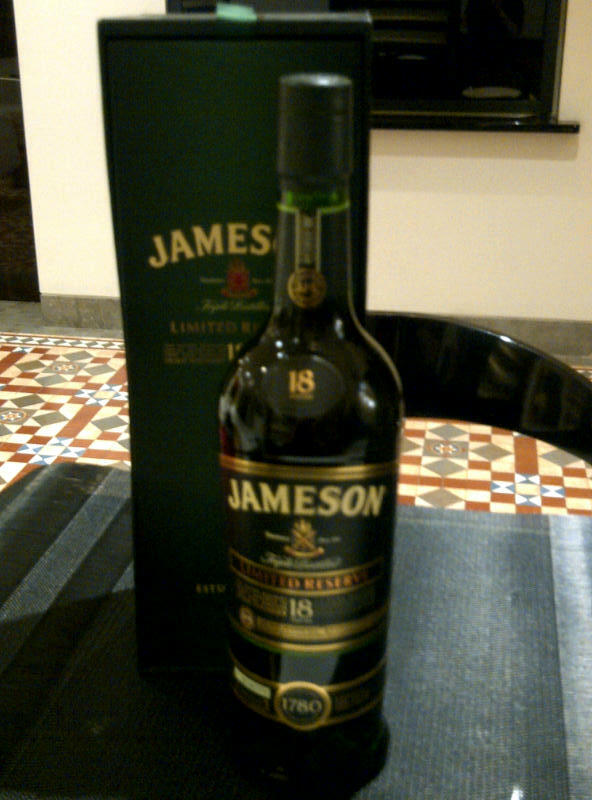 Jameson is a blended whiskey from Ireland that pays attention to the Indian market. Their merry brand ambassadors actually live here, build relationships with night spots to create cosy corners for Jameson events and every once in a while put together Irish evenings with Indian whisky tasting groups. 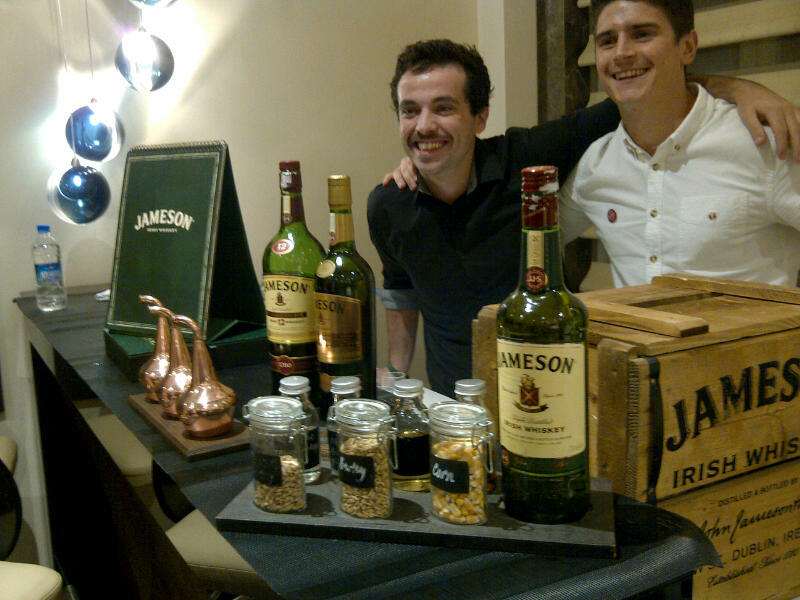 Our tasting team originally experienced an ‘Irish Night‘ November 2013 with no less than nine whiskies sampled! The lads from Jameson put together a blind comparison between Irish, Scottish and American whiskey plus most of the Jamesons’. We scored the 18 year, Green Spot and Redbreast. What follows is an extract from that evening’s adventures focused only on the tasting notes for Jameson. For the full version – see the original post on Everyday Adventures in Asia. Our verdict? Certainly light and sweet, the kind of whiskey you aren’t adverse to mixing or for some, just knocking back. Our verdict? It is a bit confused… not quite a bourbon yet trying to be… honestly? If you really are in the mood for a bourbon, just get a bourbon! However if you don’t mind a bourbon twist in your Irish whiskey, enjoy! For Irish whiskies tried til date, Yellow Spot is my favourite. However I’m always open to try more! This entry was posted in Beyond Scotland, Ireland and tagged Jameson, Jameson 12 year, Jameson 18 year, Jameson brand ambassador, Jameson Gold Reserve, Jameson Original by Carissa Hickling. Bookmark the permalink. Shamefully Ive never tried an Irish whisky. Need to put some on my list. Any recommendations as to a good starting point? The Teeling we just tried is a nice sociable starter. Yellow Spot still stands out as the most interesting so far… Just had a Bushmills Wed night but was still a bit young. Thanks for getting back to me. And thank you for the starting points, will keep an eye out for them and let you know how I get on.